Time to catch up on planning applications. Well, some of the more interesting ones. This particular one gives me a chance to include the groovy late 1970s advert above, from one of the old guides to York I picked up a few years back in the closing-down sale at the Barbican Bookshop. The happy-looking couple are in front of the Rougier Street office of Yorkshire General, as it was then. 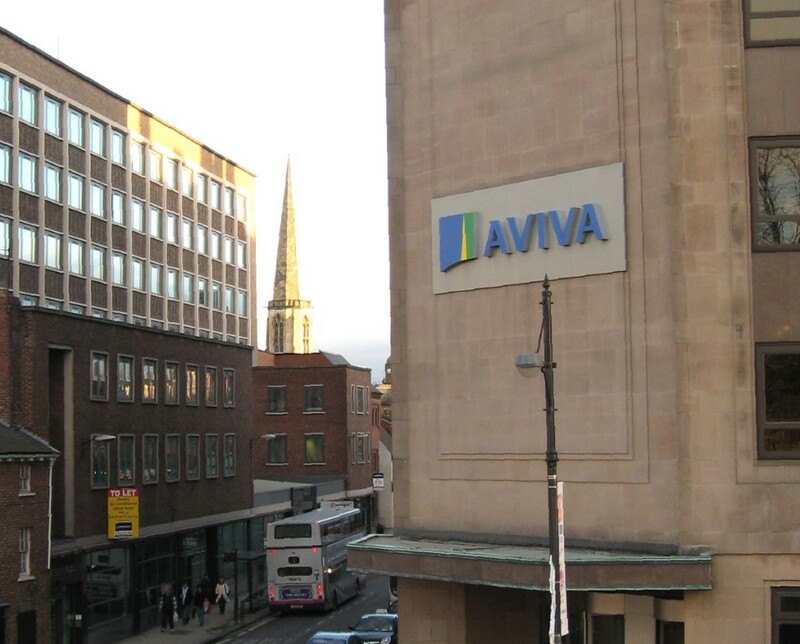 Now Aviva. Let’s just call it 2 Rougier Street. It’s interesting that this is another of those ‘office to residential’ conversions. Perhaps all the city’s large office blocks dating from the later 20th century will end up being converted to residential use. It’s happened already with Hilary House (now Biba House) and the office block on Holgate Road, and may happen at Hudson House and Ryedale House, and others. This is the link to the planning application documents, if you’d like to read more or make a comment. 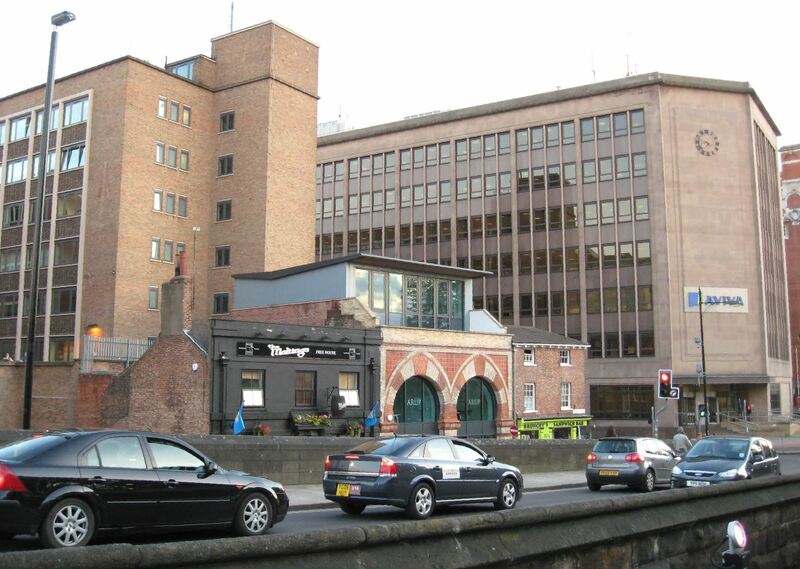 The building in question looms large over Rougier Street, adding to the ‘gloomy canyon‘ effect of that street. But retaining the buildings we’ve already got is usually preferable to knocking them down. Observers of changes in the city will have noticed that everything built on the Hungate redevelopment site and in the nearby Walmgate area is similarly lofty and light-blocking. It’s unlikely that knocking this building down would bring us anything better. It looks okay, fifty years or so after it was built. At least where it faces the junction and the city walls. It has a nice clock on the corner. Would that be kept? Would it be kept and keep time, even? I don’t know as I haven’t had time to look at the planning application documents. Some photos follow of the building from various angles taken at various times in the past ten years. And further information follows, in the links below. 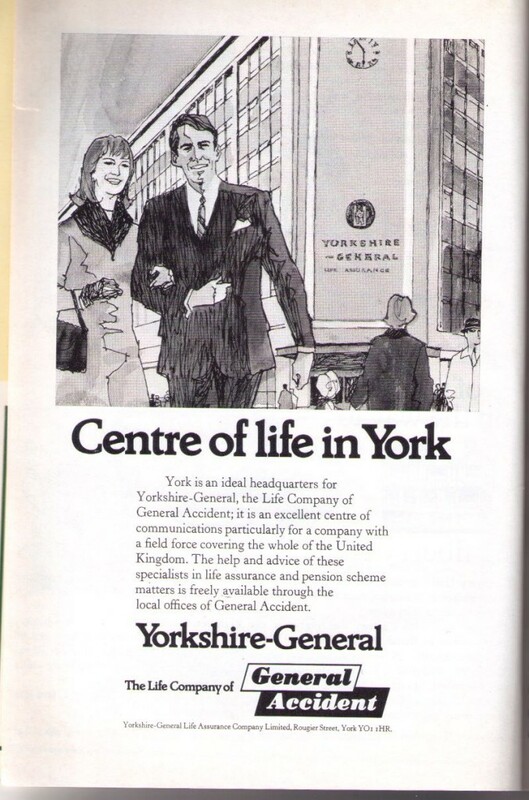 The advertisement at the top of the page is from a late 1970s guide to York. 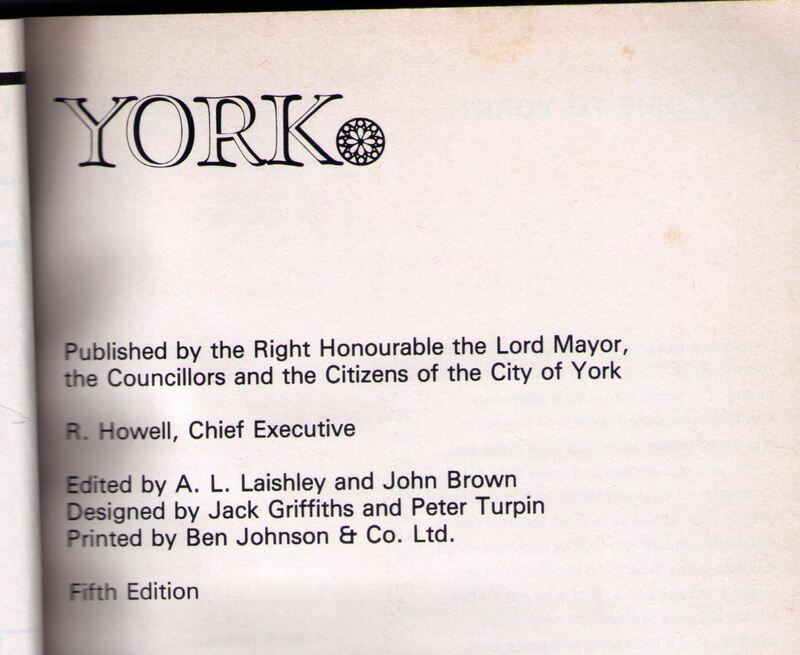 It was printed — as so many local publications were — by a York firm whose name will be familiar to many. Ben Johnson’s, later Donnelleys, and now no more. The old Ben Johnson’s, in York, is remembered in this rather nice letter in yesterday’s Press: ‘York was very fortunate indeed to have Ben Johnson’s, the home of Europe’s finest printer, in its city’. 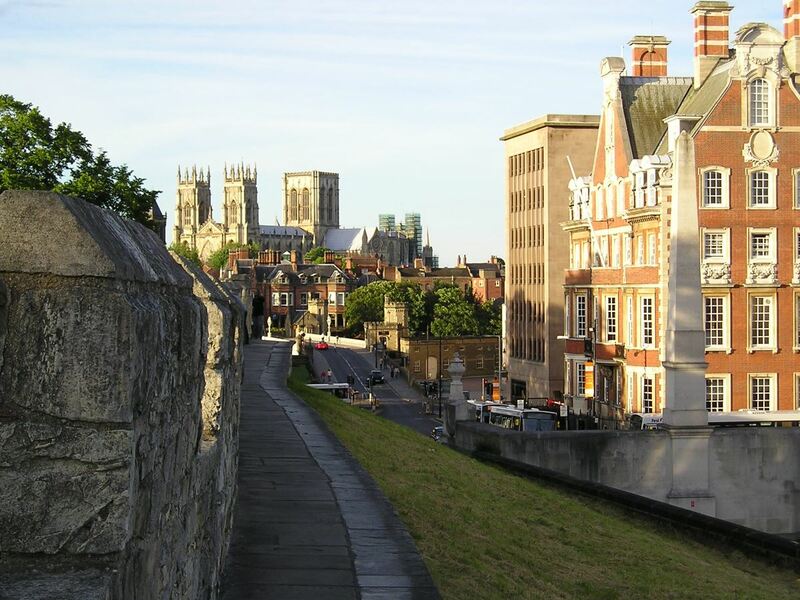 Yet the council are hell bent on shutting down railway maintenance companies on the teardrop because they say York is lacking in city centre office space, yet all you see on walkabouts in the city centre (and on many other sites in York) are empty office blocks! Is it just part of an ongoing plan to eradicate York of blue collar engineering jobs? Do they just want low paid tourism/shop jobs and white collar office/call centre workers? I understand that the council have told some of the companies that they want them off the teardrop by 2017 and that they will put in compulsory purchase orders to get things moving.